Welcome to Nike Training Club, your Ultimate Personal Trainer. Get fit with 160+ free workouts in a variety of full-body challenges — from strength and endurance to mobility and yoga — featuring our world-class Nike Master Trainers in every drill. If structure is what you need, our personalized training plans adapt to you and your schedule for a one-way ticket to the body you want — whether you’re a seasoned athlete or just getting started. NO TIME, NO PROBLEM Don’t have two hours a day to get the body you want? Nike Training Club users love our short, body-weight only workouts to get results even when life gets in the way. PERSONALIZED WORKOUT RECOMMENDATIONS Our daily “Picks For You” are based specifically on your routine. The more you train with Nike Training Club, the more personal your recommendations become. FLEXIBLE TRAINING PLANS TAILORED TO YOU Start training with a personal plan that guides you while adjusting to your progress, schedule, and other activities. WORKOUTS FOR ALL LEVELS The Nike Training Club workout library includes: • Yoga (new! ), Strength, Endurance and Mobility workouts • Workout times ranging from 15-45 Minutes • Beginner, Intermediate and Advanced Levels • Low, Moderate and High Intensity • Bodyweight only, Light and Full Equipment • Time-based and Rep-based options And if that’s not enough, get motivated by some of your favorite athletes with their inspired workouts: • Cristiano Ronaldo • Serena Williams • Kevin Hart • Kyrie Irving • Rory McIlroy • Ashton Eaton • Alex Morgan • Ellie Goulding ALL YOUR ACTIVITIES COUNT Enter and record other activities you do, like basketball, spinning, studio classes, and many more, all so you can keep track of your fitness life. And don’t forget — Nike Training Club also syncs your workouts with Apple Health. TRACK YOUR RUNS Run with Nike Run Club, and all your runs will be automatically recorded in your activity history. NOTE: To use this app you’ll need iOS 7.1 or later. This app works for both FuelBand 1.0 and FuelBand SE. For the FuelBand SE, an iPhone 4S or higher is required. For the FuelBand 1.0, an iPhone 4 or higher is required. Nike+ FuelBand is the smart, simple and fun way to get more active by measuring your everyday activity and turning it into NikeFuel. Your Nike+ FuelBand wirelessly connects to your app, allowing you to see your progress on your mobile device and get the motivation you need to get moving. For those using an iPhone 5s or newer, you can use the app to earn NikeFuel as we now support Apple’s iPhone motion sensors. · View your progress against your goal broken down by week, month or year. · Save all your information directly to your Nike+ profile online. · Customize your device display, change the time and update your Daily Goal - straight from the app. · Track NikeFuel and intensity for specific activities with Nike+ Sessions. * · Your friends, family, trainer or coworkers help keep you motivated with the Sport Feed · Stay active by enabling Move Reminders in your Device Settings that encourage you to Win the Hour. · Compete for the top slot on your Friend leaderboard. · Share sessions, photos and personal bests with your friends in the Sport Feed or on Instagram, Facebook and Twitter. Need help? Get support at nikeplus.com/support. *Nike+ Sessions are only available with Nike+ FuelBand SE or iPhone 5s and newer. Bluetooth 4.0 is only compatible with Nike+ FuelBand SE and iPhone 4s or newer. 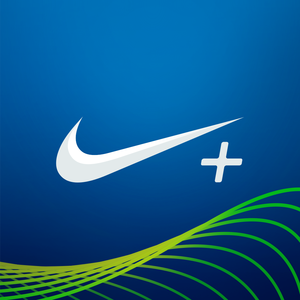 Nike+ Fuel – Nike, Inc. If you have an iPhone 5S, Nike+ Move is the simplest way to capture your every move, and motivate you to move more. Exclusively for use with iPhone 5S, Nike+ Move to converts your movement into NikeFuel, the first-ever single, universal unit for measuring all kinds of activities. No matter your age, weight or gender, the same activity earns you the same amount of NikeFuel. And, because it uses the M7 coprocessor found in iPhone 5S and low-power location services (not GPS), this motivating all-day tracking experience won't run down your iPhone 5S battery. Nike+ Move offers insight into when you move, how you move and where you move - and lets you challenge your friends to see who moves more. Win the day by beating your NikeFuel average and watch your goal ring change from Red to Green. See when you are most active throughout the day and how you’re doing compared to yesterday. Move more often and win as many hours as you can throughout the day. See how you moved through the day with a breakdown of running, walking, and other movement. See where you're moving and where you move the most each day. Check out how you compare against your Game Center friends or other Nike+ Move users near you. *Note: iPhone 5S is required to get motivated with Nike+ Move. 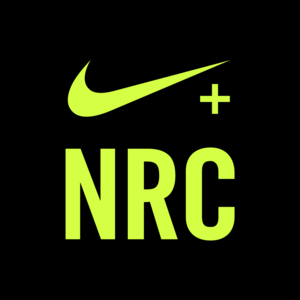 The Nike+ Running app is now the Nike+ Run Club app -- Your Perfect Running Partner. Whether you’re just getting started or getting ready for another race, the Nike+ Run Club app surrounds you with everyone and everything you need to run better. With the motivation of millions of runners behind you and expert guidance around every turn, we'll help you reach your goals—and have more fun doing it. •A COMPLETE REDESIGN FOR RUNNERS, BY RUNNERS. •TRACKS AND STORES ALL YOUR RUNS AND RECORDS •PERSONALIZED COACHING PLANS NOW ADAPT TO YOUR SCHEDULE AND PROGRESS •MORE FUN AND PERSONAL POST-RUN SHARING WITH FRIENDS AND NEW STICKERS •COMPARE AND COMPETE WITH FRIENDS ON LEADERBOARDS BY HASH-TAGGING RUNS TRACKS AND STORES ALL YOUR RUNS AND RECORDS GET ALL THE DETAIL YOU NEED—pace, distance, elevation, heart rate and mile splits— and GREATER control over what you see during your run. PERSONALIZED COACHING PLANS ADAPT TO YOU Whatever your goal, your Nike+ Coach has a plan for you. One that STARTS with your goals and fitness LEVEL, and ADAPTS as you progress. CUSTOMIZABLE POST-RUN SHARING WITH FRIENDS Personalize your posts by adding photos, stats and stickers, then customize who sees it—your entire social network, or just your Nike+ friends. LEADERBOARDS LET YOU COMPARE AND COMPETE Easily compare and compete with friends and fellow runners—just hash-tag your miles against specific goals or challenges to see where you stand. APPLE WATCH The Nike+ Run Club app works with Apple Watch, putting all the fun of your run on your wrist. To learn more, go to the Apple Watch tab in Settings. Your Perfect Running Partner – Nike+ Run Club Nike+ Run Club gives you everything you need to run better and more often—including GPS tracking details of your run, customized coaching plans that fit your goals and adapt to your progress, and nonstop motivation from your friends. In short: We'll help you reach your goals and have more fun getting there. - FULL APPLE WATCH SERIES 2 SUPPORT - TRACKS AND STORES ALL YOUR RUNS AND RECORDS - PERSONALIZED COACHING PLANS FOR YOUR GOALS - EASILY SHARE YOUR RUNS WITH YOUR FRIENDS - COMPETE ON LEADERBOARDS - MOTIVATION FROM NIKE ATHLETES LIKE KEVIN HART, MO FARAH, AND ALLYSON FELIX SUPPORTS APPLE WATCH and APPLE WATCH NIKE+ Get your perfect running partner—on your wrist. The Nike+ Run Club app supports all generations of Apple Watches, with a simple experience designed for the runner in motion. Scroll down on the main screen to select a goal, activate Advanced mode, or adjust your run settings before you head out. Notification, scheduling, and sharing features keep you motivated, improving, and having fun. Includes GPS support for all Apple Watch Series 2 and Apple Watch Nike+, and stand-alone mode for first generation Apple Watch and Apple Watch Series 1. TRACKS AND STORES ALL YOUR RUNS AND RECORDS Get all the detail you need—pace, distance, GPS route, elevation, heart rate, and mile splits. Real-time audio feedback will keep you on track during your run. PERSONALIZED COACHING PLANS ADAPT TO YOU Whether you want to get started, get fitter, or get race-ready, Nike+ Coach has a plan for you. One that starts with your goals and fitness level, and adapts as you progress. CUSTOMIZABLE POST-RUN SHARING WITH FRIENDS Personalize your posts by adding photos, stats and stickers, then customize who sees it—your other social networks, or just your Nike+ friends. LEADERBOARDS LET YOU COMPARE AND COMPETE Easily compare and compete with friends and fellow runners—just tag your miles against specific goals or challenges to see where you stand. MUSIC CONTROLS FOR THE RUNNER IN MOTION With custom Nike+ Run Club playlists, in-run cheers from friends, and encouragement from elite athletes, you’ll have the motivation you need to go a little harder and little further. 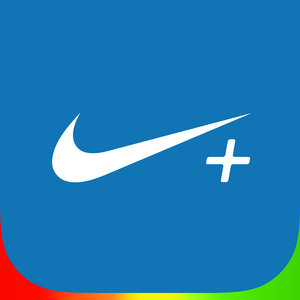 This app includes Nike stickers you can use in the app and on iMessage to share with friends. You can find the iMessage stickers in the iMessage app store by searching for NRC. By downloading the app, you agree that Nike provides these stickers for you to use only for that purpose. Nike may revoke this permission at any time. Nike+ Run Club integrates with the Apple Health app to sync your workouts and record heart-rate data. Please note that continued use of GPS running in the background can dramatically decrease battery life. 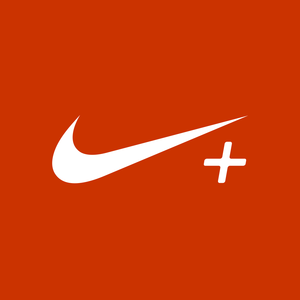 Nike+ Running – Nike, Inc. THE ALL NEW NIKE+ TRAINING CLUB Get better with the best—with Nike Master Trainers and Athletes delivering both the expertise you want and the motivation you need to get fit. Get easy-to-follow guidance through every drill, every workout and each personalized training plan. Share and compare with your friends and the Nike+ community, and stay motivated with your ultimate personal trainer. Featuring 100+ workouts from Nike Athletes and Trainers: •Serena Williams and Kevin Hart •Rory McIlroy •Ashton Eaton •Alex Morgan •Carli Lloyd •Allyson Felix •Skylar Diggins •Ellie Goulding New Athlete workouts added regularly. EXPERT GUIDANCE FROM NIKE MASTER TRAINERS Choose the amount of visual guidance you get in every workout, and use the audio cues to take your eyes off the screen. VARIETY OF WORKOUTS FOR ALL LEVELS Find strength, endurance or mobility-focused workouts from our library of 100+ workouts designed by Nike Athletes and Trainers. ALL YOUR ACTIVITIES COUNT Enter and record other activities you do, like basketball, tennis and many more, and keep track of your fitness life. EASY POST-WORKOUT SHARING Share customizable photos and posters with your friends and the community. TRACK YOUR RUNS Run with Nike+ Run Club, and all your runs will be automatically recorded in your activity history. BRING IT HOME Stream NTC workouts from your phone to a TV or tablet using AirPlay, AppleTV or HDMI cable. 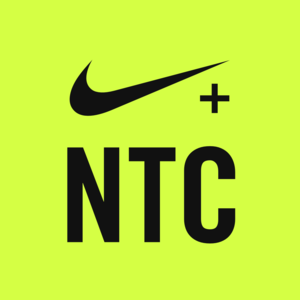 Nike+ Training Club – Nike, Inc. THE ALL NEW NIKE+ TRAINING CLUB Get better with the best—with Nike Master Trainers and Athletes delivering both the expertise you want and the motivation you need to get fit. Get easy-to-follow guidance through every drill, every workout and each personalized training plan. Share and compare with your friends and the Nike+ community, and stay motivated with your ultimate personal trainer. Featuring 100+ workouts from Nike Athletes and Trainers: •Rory McIlroy •Ashton Eaton •Alex Morgan •Carli Lloyd •Allyson Felix •Skylar Diggins •Ellie Goulding New Athlete workouts added regularly. EXPERT GUIDANCE FROM NIKE MASTER TRAINERS Choose the amount of visual guidance you get in every workout, and use the audio cues to take your eyes off the screen. VARIETY OF WORKOUTS FOR ALL LEVELS Find strength, endurance or mobility-focused workouts from our library of 100+ workouts designed by Nike Athletes and Trainers. Discover new versions of your previous favorite workouts here: http://www.nike.com/us/en_us/c/training/nike-training-club/workouts/archive ALL YOUR ACTIVITIES COUNT Enter and record other activities you do, like basketball, tennis and many more, and keep track of your fitness life. EASY POST-WORKOUT SHARING Share customizable photos and posters with your friends and the community. TRACK YOUR RUNS Run with Nike+ Run Club, and all your runs will be automatically recorded in your activity history. BRING IT HOME Stream NTC workouts from your phone to a TV or tablet using AirPlay, AppleTV or HDMI cable. Nike+ Training Club is your ultimate personal trainer. Get expert guidance, workouts you can do anywhere and the motivation you need to get fit. Including free workouts and personalized training plans, all guided by Nike Master Trainers, our easy-to-follow videos take you through every drill. When you’ve completed a workout, share your progress with friends and the Nike+ community. Featuring free 130+ workouts from Nike Athletes and Trainers, with new workouts added regularly: •Serena Williams and Kevin Hart •Rory McIlroy •Jérôme Boateng •Ashton Eaton •Alex Morgan •Carli Lloyd •Allyson Felix •Skylar Diggins •Ellie Goulding WORKOUTS FOR ALL LEVELS Exercise anywhere with a variety of strength, endurance and mobility-focused workouts from our free library of 130+ workouts designed by Nike Athletes and Trainers. The Nike+ Training Club workout library includes: •Workout times ranging from 15-45 Minutes •Beginner, Intermediate and Advanced Levels •Low, Moderate and High Intensity •Bodyweight only, Light and Full Equipment •Time-based and Rep-based options FLEXIBLE TRAINING PLANS TAILORED TO YOU Start training with a personal plan that guides you – while adjusting to your progress, schedule, and other activities. EXPERT GUIDANCE FROM NIKE MASTER TRAINERS Follow Nike Trainers as they take you through each drill and use the audio cues to take your eyes off the screen. PERSONALIZED WORKOUT RECOMMENDATIONS View daily workouts chosen specifically for you and your routine. The more you train with Nike+ Training Club, the more personal your recommendations become. ENHANCED SEARCH Easily find workouts by their purpose, name, body part, equipment, drill, athlete and trainer. ALL YOUR ACTIVITIES COUNT Enter and record other activities you do, like basketball, spinning, yoga, and many more, all so you can keep track of your fitness life. Nike+ Training Club syncs your workouts with Apple Health. TRACK YOUR RUNS Run with Nike+ Run Club, and all your runs will be automatically recorded in your activity history. Nike+ Training Club – Workouts for every level, guided by the world’s best trainers. – Nike, Inc.
GET FIT WITH NIKE+ TRAINING CLUB – Your personal trainer. Designed by Nike. Powered by friends. Choose from over 100 workouts by Nike Master Trainers, get motivation from your crew and train better together. BUILD YOUR CREW Create your Nike+ profile, add friends and train anywhere, anytime, together. NON-STOP MOTIVATION Get inspired with workouts led by Nike pro athletes and designed by Nike Master Trainers. 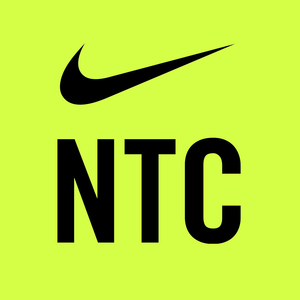 Follow the new NTC feed for tips from the trainers, cheers from friends and much more. SHARE YOUR WORKOUT Capture all your workout moments. Take photos, customize them and post them to your social networks. BRING THE STUDIO HOME Stream NTC workouts from your phone to a TV or tablet using AirPlay or HDMI cable. STAY ON TRACK WITH PROGRAMS Get lean, get strong, or get toned. Whatever your training goal, commit to a 4-week program and integrate Nike+ Running to reach those goals faster. MAKE NTC YOUR OWN Only download the workouts you want. Then customize them and choose drills that are right for your body. SEE THE RESULTS Measure your hard-earned effort by number of workouts, minutes, average calories and NikeFuel. Supporting languages for Mexico, Argentina, Brazil, Thailand, Indonesia, Korea, Turkey, USA, UK, Italy, Taiwan, France, Spain, China, Germany, Russia, Japan, UAE, Qatar, Lebanon, Kuwait, Oman, Saudi Arabia and Bahrain. Need help? Get support at twitter.com/nikesupport. Nike+ Training Club – Workouts for every fitness level and personalized workout plans guided by the world’s best – Nike, Inc.
Get better with the best—with Nike Master Trainers and Athletes delivering both the expertise you want and the motivation you need to get fit. Get easy-to-follow guidance through every drill, every workout and each personalized training plan. Share and compare with your friends and the Nike+ community, and stay motivated with your ultimate personal trainer. EXPERT GUIDANCE FROM NIKE MASTER TRAINERS Choose the amount of visual guidance you get in every workout, and use the audio cues to take your eyes off the screen. VARIETY OF WORKOUTS FOR ALL LEVELS Find strength, endurance or mobility-focused workouts from our library of 100+ workouts designed by Nike Athletes and Trainers. ALL YOUR ACTIVITIES COUNT Enter and record other activities you do, like basketball, tennis and many more, and keep track of your fitness life. EASY POST-WORKOUT SHARING Share customizable photos and posters with your friends and the community. TRACK YOUR RUNS Run with Nike+ Run Club, and all your runs will be automatically recorded in your activity history. BRING IT HOME Stream NTC workouts from your phone to a TV or tablet using AirPlay, AppleTV or HDMI cable. Workouts anytime, anywhere. Welcome to Nike+ Training Club, your Ultimate Personal Trainer. Get fit with 150+ free workouts in a variety of full-body challenges — from strength and endurance to mobility and yoga — featuring our world-class Nike Master Trainers in every drill. If structure is what you need, our personalized training plans adapt to you and your schedule for a one-way ticket to the body you want — whether you’re a seasoned athlete or just getting started. NO TIME, NO PROBLEM Don’t have two hours a day to get the body you want? Nike+ Training Club users love our short, body-weight only workouts to get results even when life gets in the way. PERSONALIZED WORKOUT RECOMMENDATIONS Our daily “Picks For You” are based specifically on your routine. The more you train with Nike+ Training Club, the more personal your recommendations become. FLEXIBLE TRAINING PLANS TAILORED TO YOU Start training with a personal plan that guides you while adjusting to your progress, schedule, and other activities. WORKOUTS FOR ALL LEVELS The Nike+ Training Club workout library includes: •Yoga (new! ), Strength, Endurance and Mobility workouts •Workout times ranging from 15-45 Minutes •Beginner, Intermediate and Advanced Levels •Low, Moderate and High Intensity •Bodyweight only, Light and Full Equipment •Time-based and Rep-based options And if that’s not enough, get motivated by some of your favorite athletes with their inspired workouts: •Serena Williams •Kevin Hart •Kyrie Irving •Rory McIlroy •Ashton Eaton •Alex Morgan •Ellie Goulding ALL YOUR ACTIVITIES COUNT Enter and record other activities you do, like basketball, spinning, studio classes, and many more, all so you can keep track of your fitness life. And don’t forget — Nike+ Training Club also syncs your workouts with Apple Health. TRACK YOUR RUNS Run with Nike+ Run Club, and all your runs will be automatically recorded in your activity history.